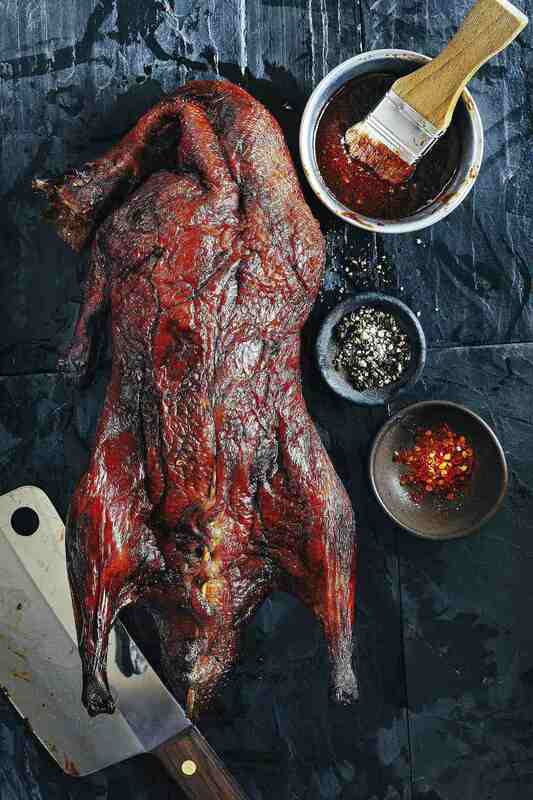 - Season the duck with salt and pepper. - Reduce the heat on the BBQ to low and place the duck inside, close the lid and cook for approx 1 and 1/2 hours, until golden brown. - Remove from BBQ and rest for 15 min. before removing the 2 legs and 2 breasts for serving.